A bit of an expensive month for us, mainly due to travel (fun), a tax bill (not fun) and a few utility bills. We still managed to hit higher than a 50% savings rate, so we’re very pleased. Before we start… we were recently asked by LadyFIRE to share our earliest money memory. It was great fun. Check it out here. The big cost this month was travel. We set off on our road trip to Newcastle, Sydney and Canberra. This road trip came about when we decided we wanted to go to the Palace of Versailles exhibition at the National Gallery in Canberra. When we decided to add in stops in Newcastle and Sydney, this added to the trip both in terms of time and money spent. We enjoyed catching up with friends and looking at areas we’d like to live in while we were in Newcastle (and simultaneously weeping at the house prices). In Sydney, we took my nephew to Taronga Zoo. He slept through the whole thing, but we really enjoyed it. 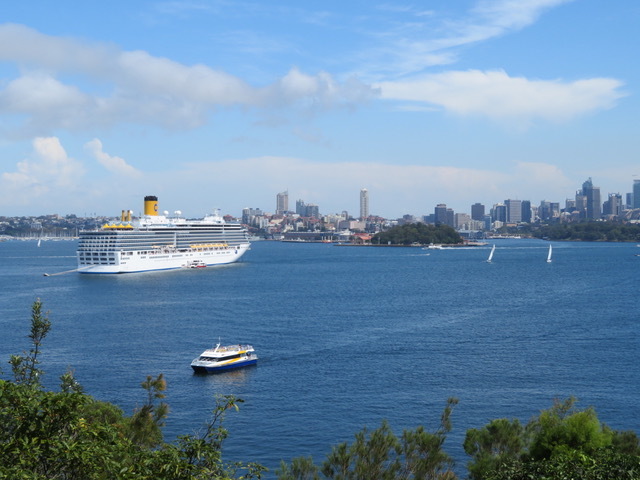 One of the great views from Taronga Zoo. We loved the Versailles exhibit and thoroughly enjoyed catching up with Ozstache from the MMM Forums. On our way home, I stopped in Sydney to shop for wedding dresses with my best friend who has asked me to be her Maid of Honour. We filled our little red car up with fuel in Sydney and made it all the way back to our house on the same tank. Have I mentioned we love our car? Another big expense this month was my tax bill. The majority of this was caused by earnings on my Vanguard account. Certainly a nice problem to have, but still annoying to have to pay. This is how we feel about tax bills. Finally, we had three utility bills! As you’ll remember, we bought a portable air conditioner in January and I was quite worried what our electricity bill would look like. We were very happy when it was only $44 higher than usual! Very happy with that! Gifts $14.90 This included the postage of a gift to a friend, two birthday cards and a couple of gift bags. Internet $186.17 We were billed for our changeover to the NBN. This included the cost of a modem and a setup fee. Even taking into account these costs, we will still come out ahead with the NBN. Utilities $783.52 Our water (including sewerage), gas and electricity bills. We were very pleased that our electricity bill was only $44 more than usual which means the purchase of our portable air conditioner was definitely worth it! Groceries $590.26 Poopsie spent the last two weeks of March (and the first week of April) once again in a remote mining town. This always inflates our groceries as he needs to shop at Woolworths and I need to buy groceries at home as well. None of our food goes to waste, so we can't really complain here. Car Costs $117.35 A cheap petrol month. The petrol we used on our roadtrip is included in the travel category below. Mobile $18.00 Poopsie's mobile phone bill. As of next month, I will be paying mine as well as my three months up front will have expired. Household $10.00 A book of stamps. Miscellaneous $565.69 My tax bill. Mortgage Interest $846.84 Slowly getting lower, however we also saw an increase of 0.08% in our interest rate. Eating Out $43.30 Poopsie had a dinner out in the mining town he was in, plus a few beers at the pub. Clothing $9.80 We didn't last very long with our clothing ban! Underwear, after using two gift vouchers. Travel $1,533.21 Wow! Most of this was for our roadtrip, including four nights in hotels, a visit to Taronga Zoo and a fair bit of eating out. I also purchased flights to Townsville for August to visit my sister and my nephew. How did your spending go in March? 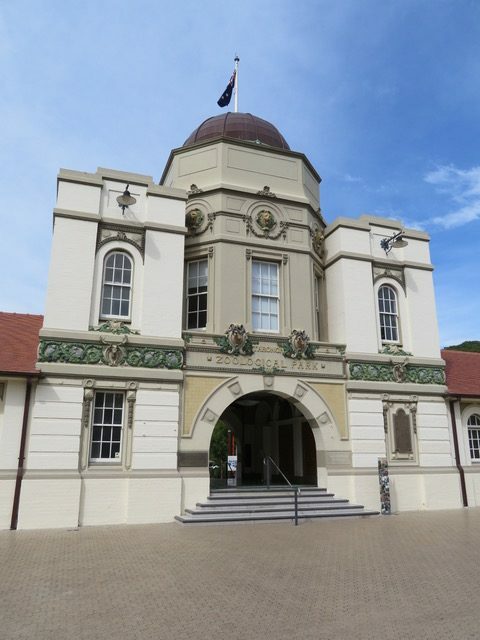 Have you ever been to Taronga Zoo? Ha! I was expecting a big tax bill getting taxed on earnings certainly isn’t the best thing ever, but I’d rather earn more than less to avoid one. Unfortunately with the salary packaging options at my work they never take enough out to cover tax/HECS and then with other sources of income it is always huge. Taronga Zoo is awesome Shame your nephew slept through most of it, but glad you had a great day. That’s really annoying your work doesn’t take out enough! This was my first tax bill, but I should probably get used to it from now on. Yeah, I kind of knew it was coming though so had the money put aside. I could put in an extra request for them to take out more tax per pay but I just let it accumulate in my account and earn me some interest (woo 3%) and then pay the bill when I get it. It isn’t the worst thing in the world if you are prepared. 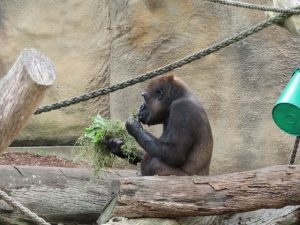 I went to Taronga Zoo last year. Although the view of the city was nice from there, I was a bit disappointed regarding the zoo. It’s quite small to ones in North America. I haven’t actually been to a zoo in North America, so can’t really compare. There are larger zoos in Australia, but I don’t think Taronga is small. Guess I will have to check out a USA one before I decide! Glad we weren’t the only ones who found it to be an expensive month! Congratulations on saving more than 50% in March! That’s really impressive, considering you had some other expense this month that you didn’t previous months. 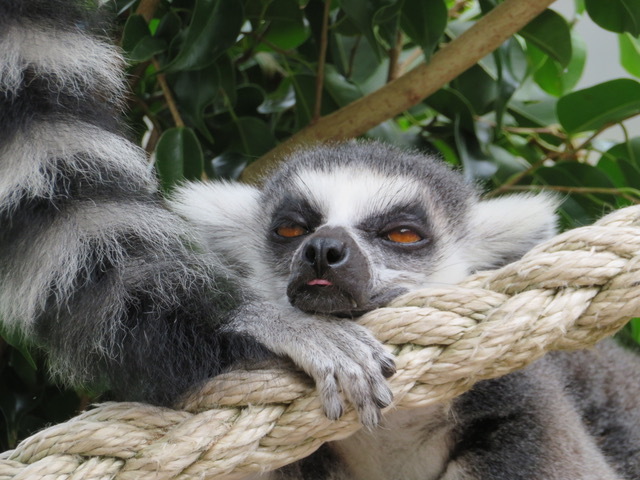 How was Taronga Zoo? I must confess that I’ve lived in Sydney for a short period but I’ve never been there before. Heh! Taronga Zoo was pretty good, but it’s certainly not the best zoo I have been to in Australia. The Dubbo Western Plains Zoo (also owned by Taronga) and Australia Zoo (Steve Irwin’s zoo) are the best two. Highly recommend those! Wow I’m really impressed that your portable air-con only raised your energy bill by $44! How often did you guys use it? Do you happen to have an energy rating (or something similar) on the one you bought? This has really got my attention that might not cost a fortune to have some kind of cooling in our air-conless rental. We used it on a number of occasions, usually for a couple of hours at a time. One night we had it going all night long. We too were pretty surprised with the lower than expected hike in the electricity bill. It worked wonderfully in our bedroom, as they do better in smaller spaces. However, we did use it in our living room a few times and it did take the edge off a bit.